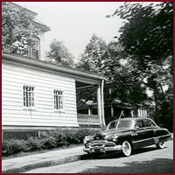 Our business was established on April 17, 1931 when Sherman and Helen Mason purchased the C.S. Moore funeral practice at South Second Street and Magee Avenue in Jeannette. 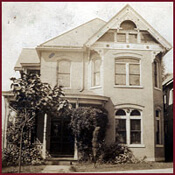 In April of 1933 the business moved to East Gaskill Avenue . 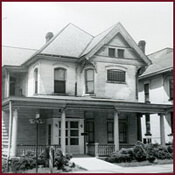 On December 23, 1936 the present location at 201 North First Street was opened. The building underwent major changes and renovations that included a new front and two additional chapels. The funeral home was completely rebuilt after a devastating fire on October 7, 2011. 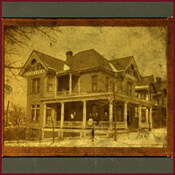 The Mason-Gelder Funeral Home is a family business. In 1954, Glenn S. Gelder, nephew of Sherman and Helen Mason joined the business. The third generation officially began in 1987 when Glenn and Carol’s son Randy began his internship, becoming a licensed funeral director in January of 1989. Randy’s sister Brenda Gelder Ribar also a licensed funeral director joined the firm in January of 1996. We are now into our fourth generation as Randy and Andrea's daughter Sara Gelder became a licensed funeral director in 2008. Carol Gelder and Andrea Gelder both take care of the day to day office work. 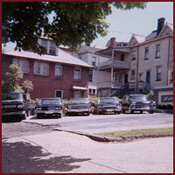 The Gelder Foundation, directed by PFDA in conjunction with the Pennsylvania Emergency Management Agency (PEMA), Department of Homeland Security and others, was established to provide education and training for individuals, professionals and members of response teams who may have to deal with mass casualty incidents and disasters. We offer complete pre-arrangement services tailored to your wishes and needs and are dedicated to personalized service at your time of need. We are proud to be family-owned and operated since 1931.